Just a quick update on what's in the mill. We are currently working on three reviews that should all be posted within the next ten days. Those include two new home theater models from Mitsubishi, an entry level 720p unit known as the HC1600, and a new 1080p model, the HC5500. We are also working on the new Canon SX80, which is Canon's latest 3000 lumen SXGA+ LCOS projector. Two of these reviews will be posted next week, and one soon thereafter. This week we posted Notes on Infocomm 2008 and a second installment of Projectors for Photography. We will continue to develop editorial material related to photography, and your suggestions are always welcome. We are also developing some more material related specifically to projectors for video gaming. Upcoming reviews currently in process include the Mitsubishi HC1600 for home theater, and the Canon SX80, which is Canon's latest high-brightness SXGA+ LCOS projector. In the last couple of months we have evaluated quite a few projectors specifically for their attributes as photography projectors. We have many more to look at, so this will be the subject of ongoing study and comment as we find models that are particularly exciting for photography. • SXGA+ projectors have been the favored choice for photography in the last few years due to their (a) high resolution, (b) lack of visible pixel structure, and (c) almost square format, which is perceived as being desirable for the display of photographs in both portrait and landscape orientations in the same physical size. However, today's 1080p resolution products tend to outperform SXGA+ projectors in color saturation, contrast, and resolution, and they can in some cases be acquired for less money. If one uses just a 1080x1080 square in the center of the 16:9 display, one can achieve the same effect of displaying portrait and landscape images in the same physical size. SXGA+ models remain good options for those who need very high light output. • Projectors with high ANSI contrast (as opposed to high Full On/Off contrast) tend to be the best for photography since each photograph is a single frame of content. 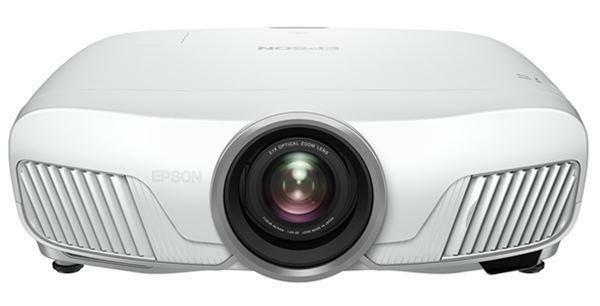 Conversely, the auto-iris features found on some projectors are designed to improve apparent contrast in film and video. However they don't offer any advantage in the display of static images. Thus, Full On/Off contrast ratings that are based on auto iris behavior should be ignored completely. In general, DLP projectors in the 1080p resolution class have thus far been showing higher ANSI contrast performance than their LCD or LCOS counterparts. • Projectors with high ANSI lumen output are more desirable than those with less lumen power. Though the optimum lumen output for home theater video might be in the range of, say, 400 lumens for a 100" screen, photography display is markedly enhanced with the use of a brighter projector as long as the higher brightness does not compromise contrast. • Home theater projectors tend to have higher ANSI contrast and better color dynamics than business models. As a class of projector, they are the most suitable models for photography display. So what is the best projector for photography? Well, we have not seen and evaluated them all, but from the array of 1080p and SXGA+ projectors we've seen so far the Optoma HD80 stands out as a uniquely impressive photography projector, and it is one of the best values on the market. This widescreen 1080p DLP projector is brighter than many other home theater projectors in its price range. We measured its ANSI contrast at an excellent 515:1, which surpasses the LCD competition and matches the contrast performance of other 1080p DLP projectors that are much more expensive. But beyond that, it is able to track a beautiful gray scale, it has excellent color depth, and it sells for street prices in the mid-$2,000 range. The light engine is sealed, so you won't ever need to worry about dust spots on the projected image. And it is smaller and lighter than most home theater projectors, and thus more easily portable for those trips to the camera club meeting. The HD80 has its limitations. Fan noise is higher than we'd like in a home theater projector, but for the display of photography fan noise is usually of little concern. The fan noise is necessary to keep internal operating temperatures under control, which is a challenge with its 300-watt lamp. This is almost double the wattage of lamps found in many 1080p LCD models, so it throws off a lot more heat as a result. Be aware that this projector will heat up a small room quicker than most if the room is not well-ventilated. As with most DLP projectors, the HD80's zoom range is a short 1.2x, and there is no lens shift. So for any given screen size and location, your options for positioning the projector to fill that screen are extremely limited. It has a built-in upward throw angle that makes it suitable for table top use. Nevertheless, in some cases this can be a nuisance, and the LCD competition has done a much better job of alleviating this problem by providing long zooms and extensive lens shift capability. However, if the limitations just noted don't concern you, the Optoma HD80 will reward you with a truly beautiful, natural display of photographic images. All things considered, the HD80 delivers the best static photograph image quality for the money we have found so far. The product was released last summer, so we don't know how much longer it will be available. But the Optoma HD80 is an outstanding value for the money. If you are looking for a magnificent photography projector for under $2,500, this one is easy to recommend. We will have a great deal more to say on a variety of other models soon. This will evolve into a separate thread of commentary that parallels our work in the home theater market since it is a distinct application with its own issues and concerns. And a lot of folks are looking to replace that old Kodak Carousel slide projector with a new and better product in the digital age. Just a quick update ... we are working on two projects at the moment. One is the second installment of Projectors for Photography, and the other is a group review of several models that are particularly attractive for education/classroom use. I am hoping to have the photography article done and posted by Friday, and the education reviews done next week. Next week is the annual Infocomm trade show to be held in Las Vegas. Many new projector models are always released at this show. However, Infocomm is almost exclusively business and commercial in orientation, so very little consumer home theater product release activity is expected. We've just posted a review of the Infocus IN83, which is their latest 1080p DLP home theater projector. And in short, it is clearly the best home theater projector yet made by InFocus. It is a bit pricey, and it is sold only through custom installers and specialty retail stores. So it is not the first thing we'd recommend for the do-it-yourself enthusiast unless your primary objective is to get a super bright image for ambient light situations. However, it is a great projector for both video and digital photography. We are still working on the review of projectors for photography. I've appreciated the feedback and suggestions from so many of you on this subject. I am expecting to get the next installment of the photography piece done within about two weeks. I will be out of town next week, but will be back and able to respond to more email the following week. This afternoon, we are posting a review of the ViewSonic Pro8100, which is that vendor's first 1080p home theater projector, and the first model to be sold by ViewSonic through the custom installer and specialty retailer channel. That is a remarkable diversification in channel strategy, and it remains to be seen how successful they will be. After sorting out some technical issues, we are proceeding with the review of the Infocus IN83, and that review will be posted by the end of next week. The focus on projectors for photography continues. We posted an initial commentary earlier this week which encourages photographers to take a serious look at the latest 1080p resolution projectors. Though they are built for home theater, they have many of the same performance attributes you'd want in a great photography projector--high resolution, no pixelation, high ANSI contrast, and reasonable price. SXGA+ projectors are still a good alternative for those who need high lumen output for large audiences and very large screen presentations. This discussion will continue with a second installment, still underway. I was hoping to get our review of Projection Screens under $500 posted today, but we are still adding a few concluding comments, so it will go up on Monday afternoon. This review includes a look at several screen products from Elite, Grandview, Goo, and Saaria. It has been quite interesting to see how these aggressively priced screens stack up against one another, and also how they compare to the performance of the much more expensive screens from Stewart Filmscreen, the Studiotek 130 and the Grayhawk RS. They are not quite as good as the Stewart products, but at a fraction of the price they are amazingly good for the money. If you are looking for a budget alternative, don't miss this upcoming review. I will also post some comments regarding photography projectors next week, although close reviews of several models that are particularly good for photography are still a few weeks away. We've just posted a review of the BenQ W20000, the newest flagship, high performance 1080p projector from BenQ. Overall, this is the most impressive home theater projector yet made by BenQ. Though retail priced at $7,999, it is available for 4,999, including a three year warranty. Outstanding value for sharp, high contrast 1080p performance. The InFocus IN83 is looking very good also--an extremely bright projector that performs admirably in ambient light. However, we've had a bit of technical difficulty with our test unit that we are trying to sort out. Assuming we get this resolved the review should be done next week. However, if the unit has been damaged in transit, we will have to call in a second sample. With regard to the upcoming photography projector reviews, if there are specific models that are of interest to you that you'd like to see included in the evaluation, please click here and drop me a note. Thanks very much for all the feedback regarding the use of projectors for the display of photography. There is obviously great interest in this subject, and we will focus on testing a variety of models in different price ranges specifically for this purpose. We have already invited a number of submissions for this evaluation, and the equipment is winging its way to Las Vegas. We have also had screens arriving from a number of vendors for our upcoming screen round up. For this review we will be testing screens priced under $500 for 100" fixed frame. This way we can put a spotlight on the best of the economy class products. After all, there are quite a few very hot home theater projectors selling for under $1,000 these days, and anyone buying these models will need a good economical screen solution to go with them. At the moment we have the Optoma HD65, the InFocus IN83, and the BenQ W20000 under review. The HD65 review should be posted by Friday, and the other two next week.